Because girls won’t play with an engineering toy unless it’s pink and comes with dolls & horsies, right? Sadly – for those of us who believe in individuality over cultural stereotypes – it appears to be working. Of course I bought them. I’ll part them out. The colors are AMAZING. 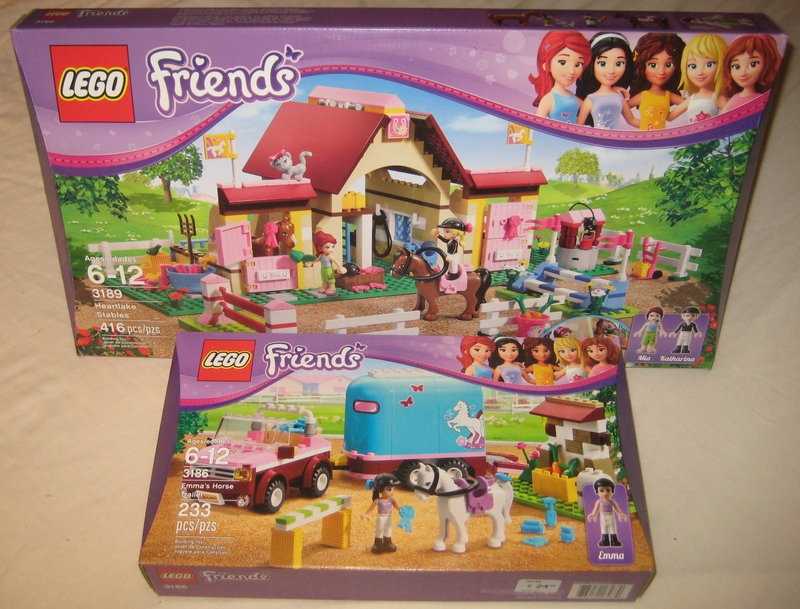 For more erudite commentary on the subject, see Jennifer Garlen’s Virtual Virago: Gendered Consumption, Girls, and LEGO Friends. The girl in my house plays with the boy legos because they are what we have. All in all, she plays girl games with girls who come over and boy games with boys who come over. The boy, however, does not engage in girl games, ever. And I honestly don’t think it’s social stigma. Dressing up the stuffed animals and putting them in the doll house just doesn’t do anything for him.